The current exhibition at New York's Bernard Museum of Judaica, Bezalel: Art, Craft and Jewish National Identity, will bring to life the early years of the iconic art school and network. In 1906, the visionary artist/sculptor Boris Schatz founded Bezalel School of Arts and Crafts, and so began the modern period of artistic activities in Jerusalem. 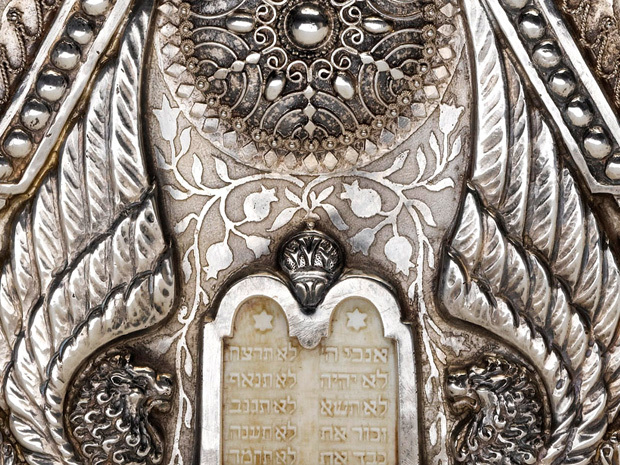 The Bezalel School created the first modern and uniquely Jewish artistic expressions by blending the sacred and secular worlds of the early 20th century. 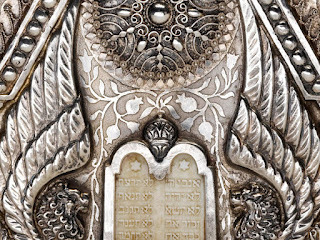 Its aesthetic was informed by the European traditions that the various artists brought with them to the Holy Land as well as by ancient Jewish symbols—but it was also a product of the Jewish nationalist ideology pervasive in the consciousness of these new arrivals to the Land of Israel. The synthesis of these inspirations resulted in an extraordinary body of work and had an enormous, enduring impact. The exhibition is a remarkable illumination of this often-overlooked, highly graphic school of design steeped in ideology. Individually, the beautiful pieces can be admired for their sublime craftsmanship, but taken in its full context, the collection must be appreciated as a striking triumph of historic and artistic significance.